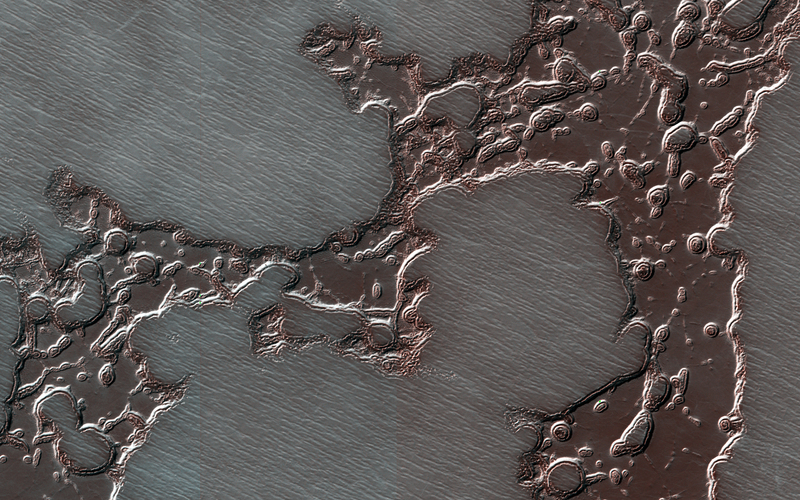 A story of changes at the South Pole of Mars is told by its icy deposits. Remnants of a formerly more extensive deposit composed of dry ice form what is known as the south polar residual cap. Scientists call it “residual” because it remains after the much larger seasonal cap disappears each summer. This mesa in this cutout is shrinking over time as the frozen carbon dioxide turns to vapor. 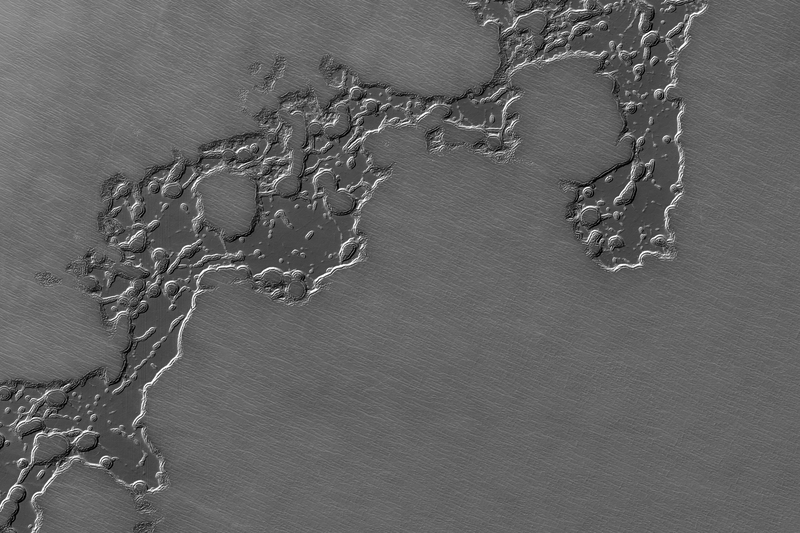 Pits in this sheet of dry ice (that give the deposit an appearance resembling Swiss cheese) are enlarging over time, exposing an older surface below that is likely made up of water ice. In contrast to shrinking ice caps on Earth, climate change is not to blame on Mars. 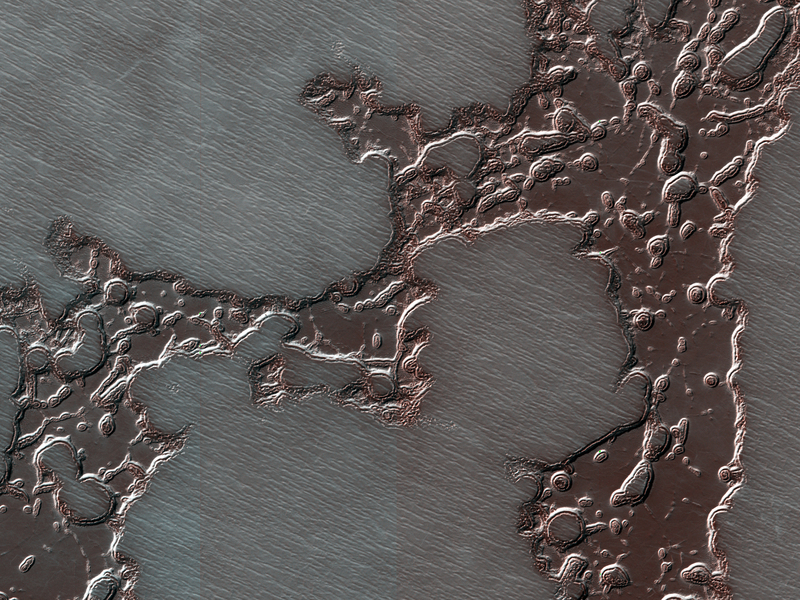 Even as the walls of these pits ablate away the intervening flat surfaces are accumulating new dry ice. The total amount of frozen carbon dioxide at the South Pole may even be increasing.